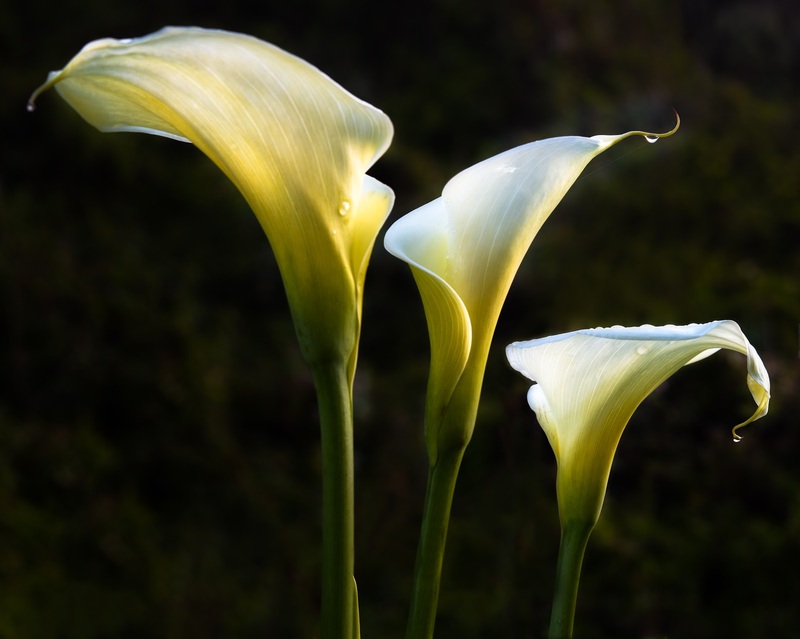 Three Callas - Phase One XF, IQ3 100, 120mm, f/14, 1/40s, ISO 100. I had some lovely light the spring morning I made this. I was at the Calla Lily gully this past weekend and it looks like park services has come through and cleaned everything up, ready for the upcoming season. Hope that the storm we are going to be tomorrow is the first of many for the bay area this season.